Thank you for taking time out to leave us a review! 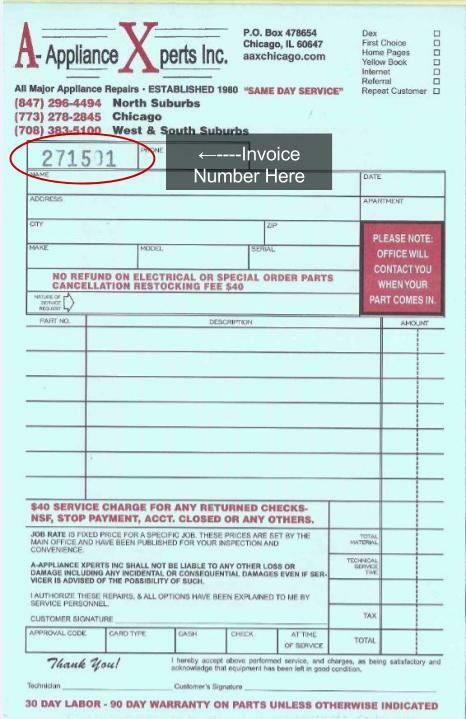 Please include your invoice number (Click Here To See Where Your Invoice Number Is Located) for a chance to win A FREE SERVICE CALL for you or someone you know! A-Appliance Xperts is dedicated to helping you with whatever you need and continually commits itself to customer service. 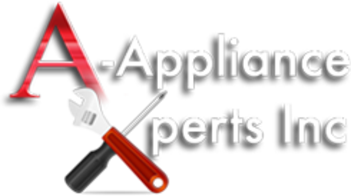 For over 35 years A-Appliance Xperts has brought our experience in the appliance repair industry to every resident and business we have serviced. We thought it best that you hear more from you so we can continually provide the best customer service in the industry. Below you will find some of the experiences our customers have had when it came to the fair pricing, on time service, and overall customer service provided by our team at A-Appliance Xperts. Thank you for choosing A-Appliance Xperts!